I’m originally from New Mexico. I’ve never had a true home as a child. My father was in the military for 20 years, and I moved around the world growing up. I’m naturally a nomad, and I have a thirst to see and experience new places. A few years ago I moved from Florida to Oregon to help “escape” some previous demons. Life has a way to give many twists and turns for the good and the bad. It was only last year that I recently discovered my emotional connection with my photography. I like to translate all of my emotions into my art work. Through this translation, I process my emotional state to help better my mental health. I use nature and photography to help process life events to help better understand myself and the world around me. In my work, I like to be vocal about this never-ending cycle I deal with to help spread awareness about mental health to help others process their depression. I find the beauty in the darkness and make it visible for everyone to see. 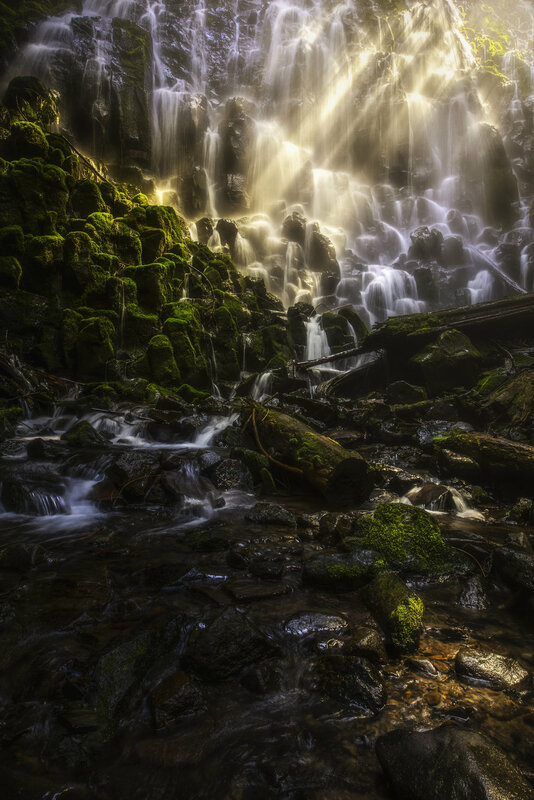 For example, this image taken at Ramona Falls in Oregon is about letting these ethereal scenes take over my mind to make me forget anything and everything. It’s in these minutes where I’m able to be free and let beauty and creativity completely take over. I want to show the world that there is light in the dark, you just have to learn to manipulate it to see it. Most of my inspiration for my work comes from fantasy video games, fantasy books, and artists such as Hayao Miyazaki. Finding these “fantasy” scenes in the real world is remarkable for me. It’s very soothing, surreal and a fantastic way for me to cope while creating beauty for others to enjoy. Jerad Armijo works in medical imaging in Portland Oregon. In his spare time, he enjoys video games, reading, hiking around the Pacific Northwest and, most importantly, creating art. To follow him on his artistic ventures check him out on Instagram or on his website.